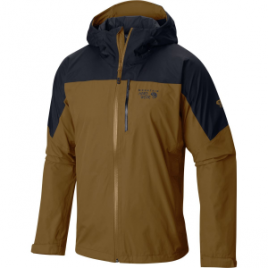 Shelter yourself with the weather-resistant, super-breathable Mountain Hardwear Men’s Ampato Jacket, and experience a comfortable hike in the rain. The durable, 2-layer Dry. Q Elite fabric is waterproof and highly breathable, so you don’t get that clammy feeling when you’re working up a sweat….